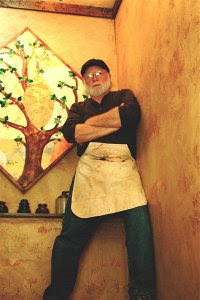 Rik Lazenby is the owner and principal artist of Lazenby’s Decorative Arts Studio, Inc. The studio was established in 2000 and incorporated in 2008. Rik began his decorative arts business after serving 32 years as an art teacher and administrator in a local school district. Rik has a strong art background with both a Bachelor and Master’s Degree from the University of Alabama with an emphasis in art education. However, to excel in his new business he had to sharpen his skills by studying with nationally recognized teachers in the decorative arts industry. To date, Rik has studied with Martin Alan Hirsch of the Faux Finish School in Louisville and Doyle Self of the School of Italian Plasters in Dallas. Rik has also traveled to Verona, Italy to obtain his certification at Safra Colors, one of the premier manufacturers of authentic Italian Plasters. In addition, Rik has certifications in ArcusStone and American Clay plasters. 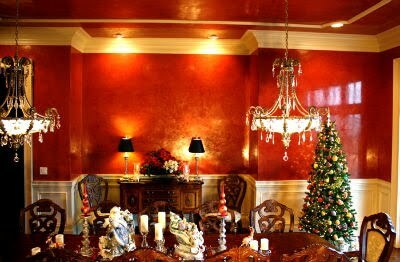 Lazenby’s Decorative Arts Studio, Inc. is recognized as one of the top decorative arts studios in the state of Alabama. Rik and his daughter Jennifer are known for taking on technically challenging projects and have a reputation for their high level of craftsmanship. 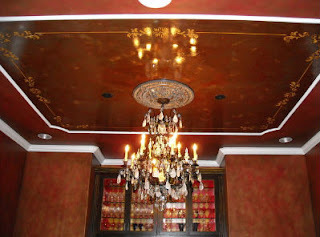 Lazenby’s Decorative Arts Studio, Inc. specializes in contemporary and “Old World” finishes, Italian plasters, textures, Venetian plasters and American Clay plasters. In addition, Lazenby’s mastery of wall glazing, metallics, murals and cabinetry finishes keeps the company at the forefront of the decorative arts business in Alabama. Rik is always striving to upgrade his skill level and continually searches for new products and finds teachers skilled in their usage. He brings these products and skills back to his studio where they are integrated with his style and shared with his clients. His is both an artist and a craftsman and his goal is to take his clients’ visions and bring them to life with his special touch. He loves to create new and exciting finishes for his clients and is not afraid to step outside of the box and try new and interesting materials to get extraordinary results. Over the years Rik has developed a reputation for integrity and excellence. And that’s something he values as highly as his own artistic ability.